By far the biggest change with the Mac II? Its open architecture, which allows users to expand the computer. More than just a tech upgrade, this marked a fundamental shift in the way Apple engineers thought about the Macintosh. The main argument against making the Mac expandable had come from Steve Jobs. Unlike the hobbyist computers that came before it, Jobs’ vision for the Mac was for a computer that “just worked.” Ideally, there would be no reason for Mac owners to need (or want) to open up their machines and tinker with their insides. By the time the Mac II began development, however, Jobs was out of Apple, working on his NeXT Computer at the startup he eventually sold back to Apple. Without Jobs’ input, the Mac II’s philosophy owed much more to the open architecture of the Apple II (whose use of Roman numerals its name borrowed as a tribute). In an age where every computer display offers millions of colors as standard, it’s worth reminding younger readers that color wasn’t always taken for granted on home computers. The first-gen Macintosh was strictly monochrome. The prospect of being able to translate the graphical interface into color proved a pretty mouthwatering prospect. Buyers could slum it by buying a cheaper Mac II with a monochrome display. However, those who opted for the color option enjoyed a new standard. 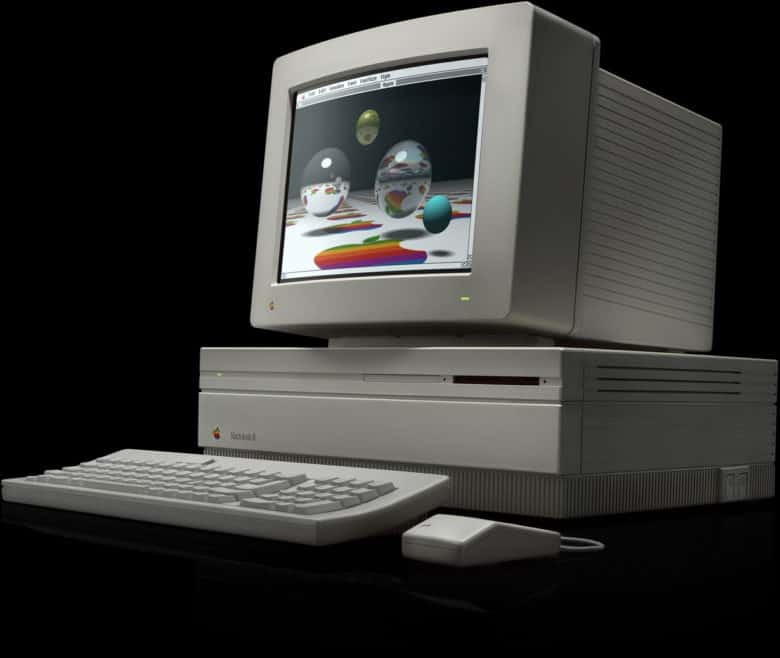 The Mac II boasted a 16.7 million true color palette (although the computer could display only 256 of them on-screen at any one time). Users were not confined to the small, 9-inch monitors that came with previous Macs, either. The Mac II’s freestanding 13-inch monitor might seem small compared to today’s massive iMac displays. But it felt incredibly roomy to users in 1987. These weren’t the only ahead-of-their-time features of the Mac II. Compared to the underpowered original, the Macintosh II excelled from a performance perspective. It packed an impressive 16 MHz Motorola 68020 processor, a 68881 floating-point coprocessor, up to 4MB of RAM and up to an 80MB hard drive. The Mac II’s audio was also very good for its day. The computer used a four-voice stereo custom sound chip for the first time. It delivered a maximum frequency of 7.5 kHz and a sample rate of 44.1 KhZ. This all added up to a hefty price tag, however. Anyone complaining that today’s Macs are pricey should consider this: A fully kitted-out Macintosh II cost $7,145 retail in 1987 dollars, the equivalent of $15,275 today. This was the era of Apple’s “high right” strategy with the Mac, where it led the way on both performance and price. The idea behind offering a higher-priced Mac like this was that it might appeal to businesses. And in fact, such a machine might seem like a bargain in terms of price versus performance when compared to the expensive workstations it competed against. Do you remember the Mac II? Leave your comments below.